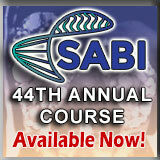 Remaining current in Breast, Neuro, MSK and Oncologic Imaging just got easier. 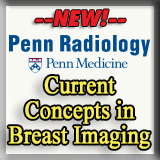 Meetings By Mail is proud to partner with Penn Radiology on its Breast, Neuro, Body & MSK Imaging courses. All offer an internationally renowned faculty’s comprehensive review of these specific specialties, and are applicable to MQSA, CT, MR and PET CME requirements. All Courses are AMA PRA Category 1™ accredited and can be applied towards your Self Assessment CME Requirements for ABR Maintenance of Certification (MOC). Combine these courses at significant discount to maximize your education and savings! 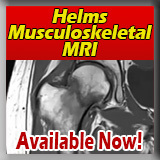 Neuro, Body and MSK Imaging Update is designed to enhance comprehension of imaging subjects encountered in everyday practice, and present the newest optimization techniques available. Selected topics in neuroradiology, head and neck, abdominal, chest, musculoskeletal and pediatric imaging will be discussed with a multimodality perspective. Earn up to 21 AMA PRA Category 1 Credits™, which are all applicable to SA- CME requirements for Maintenance of Certification. Available now! Breast Imaging: State of the Art features internationally renowned speakers from Penn Radiology and other notable institutions presenting the best practices for today’s breast imager. Fundamentals will be reviewed, and hot topics examined including breast cancer screening, digital breast tomosynthesis and abbreviated MR. Earn up to 15.5 AMA PRA Category I Credits™, including 11.75 hours Breast MRI, 11.25 hours Breast Ultrasound, 10.5 hours Digital Mammography and 4.75 hours Digital Breast Tomosynthesis. Meets MQSA CME Requirements! Available Now! Comprehensive Neuroradiology: Best Practices is designed to prepare radiologists, neurologists, and neurosurgeons for their respective certification and recertification exams, and contains 25.25 AMA PRA Category 1 Credits™. All credits are applicable as SA-CME, which means this activity meets the entire requirement for Maintenance of Certification. 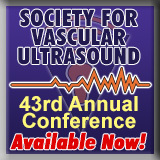 Topics include spinal and cervicocerebral vascular disease and intervention, neoplastic and non-neoplastic disorders of the brain, spine, head and neck, functional MRI, perfusion and permeability imaging, molecular imaging, PET and pediatrics. Available now!